Post these days is usually made up of bills or the occasional postcard or birthday greeting. But in the past few days, you may well have received a card from your local council, inviting you to vote. Before you get too excited, unless you are Dutch, this will be an invitation to take part in elections for your local water board – the people who ensure the drinking water is clean and the dykes keep out the sea. The water board elections take place on March 18, the same day as Dutch nationals can vote for the 12 provincial governments. Here’s the lowdown. The provincial councils (Provinciale Staten) run the 12 Dutch provinces and, in turn, their members elect the 75 members of the upper house of parliament, or senate, three months later. This means their role is crucial – the current coalition government does not have a majority in the upper house of parliament and relies on the help of opposition parties to get legislation through. However, opinion polls indicate the coalition – made up of the right-wing VVD Liberals and the Labour party – will lose a large number of seats in the senate, making it even more difficult to pass controversial policy. How do the provinces work? The provinces receive money from central government to manage nature areas, build and maintain cycle paths, oversee provincial public transport and promote the arts and culture. Each province has a provincial executive and council, both of which are chaired by a king’s commissioner. The king’s commissioner – a bit like a provincial mayor – is a crown appointee. 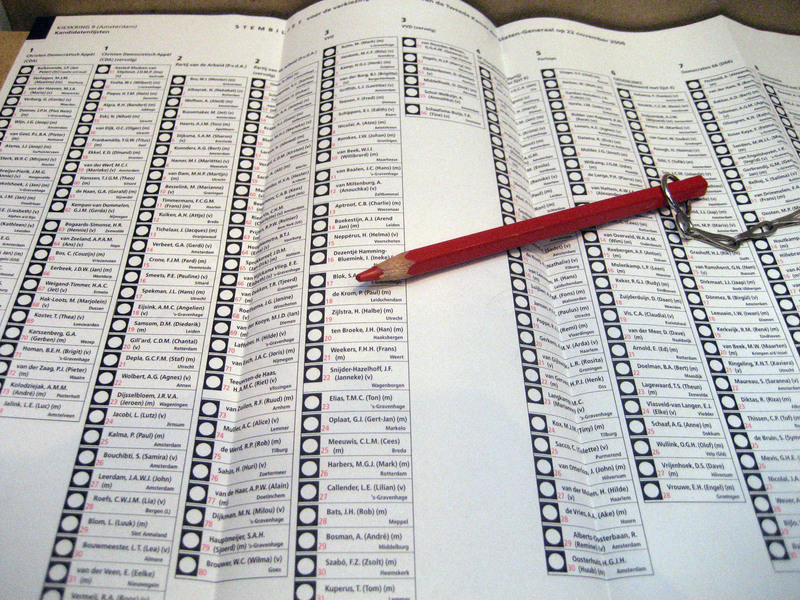 You need to be a Dutch national to vote in the provincial elections. The water boards (waterschappen) regulate how public money is spent on ensuring a clean water supply and making sure the country does not flood. You can vote for the water boards if you are an EU national or hold a valid residency permit for the Netherlands. The water boards are keen to encourage internationals to vote and have put together a ‘compass’ to help you choose: Who should get your vote. Voting cards (stempas) are sent automatically to your official address. You need to take them with you plus valid ID to vote. The polling stations are open from 07.00 hours to 22.00 hours. You vote by filling in the circle with a red pencil next to the name of your choice.